Although the term "social network" might conjure up images of Facebook or Twitter, for a large number of Indians these words actually mean WhatsApp - or more accurately, WhatsApp Groups. We're all members of these groups where people share good morning messages, strange memes, and political opinions. 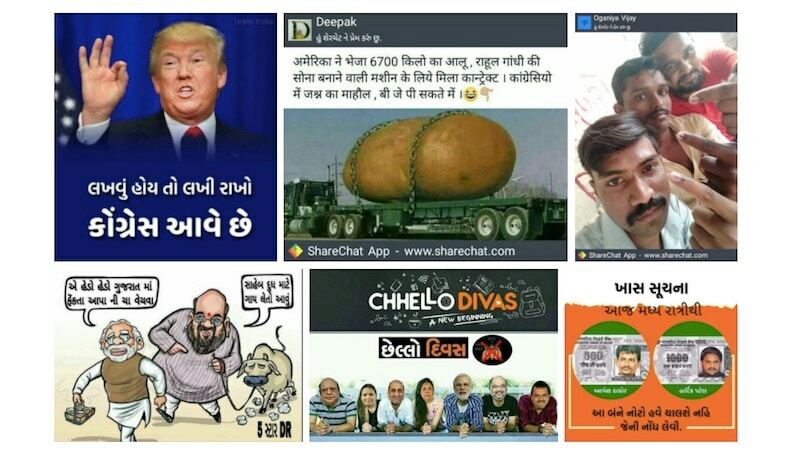 The Indic language-based social network ShareChat owes its origins to these groups, and although you - reading this - might never have heard of it, the app has been growing steadily over the last two years. With over 8 million active users around the country, ShareChat announced this week it had raised a $18.2 million (roughly Rs. 116 crore) Series B round led by Xiaomi. Ankush Sachdeva is one of the three founders of ShareChat, and Gadgets 360 caught up with him to talk about the company's audience, and how it has grown. The founders were all students at IIT-Kanpur, and they tried their hands at various idea - Sachdeva recalls 14 failed attempts by the time he was in his final year - when they finally hit upon the idea of ShareChat. It's a story that Sachdeva has probably grown tired of sharing, but launches into with practiced ease. "I went to a Facebook group, a Sachin Tendulkar Fan Club," he says, "and one person there had posted that I am making a Sachin Tendulkar WhatsApp group, so give me your phone numbers. And to me, this was an incredible idea - that people would just put up their phone numbers in public like that. But I saw thousands of people putting up their real phone numbers." "So out of curiosity, I wrote a bot to scrape 1,000 phone numbers, and then I made 10 groups on WhatsApp, of 100 members each," he continues. "I named them, Sachin ke Photos, Sachin ke Videos, things like that. I didn't have anything specific in mind, I wanted to see what will happen. Then I put my phone away and went to the canteen to have my lunch. One hour later, I came back, and my phone was just ringing, continuously, with notifications. I saw that there were like 500 unread notifications on each group." The groups were incredibly active, but the people weren't talking to each other. "They were just sharing content," says Sachdeva. "So one person would say, send me Sachin ka Sharjah video, and then someone else will send that. If anyone said hi or hello, they were not being engaged." The founders got a peek into WhatsApp's ability to engage with huge numbers, but the next step still wasn't obvious. They then created two bots - "one where you give me your daily routine, requirements, and I'll suggest a mobile phone to buy," says Sachdeva, "and the other one was, you come to a bot and it keeps giving you celebrity content when you say 'our chahiye', and it really took off." "No one wanted the smartphone recommendation - everyone only engaged with the content," he adds. "So we launched ShareChat properly in October 2015, with a simple content feed. At that time, we probably had 10,000 downloads." In just over two years, the numbers have shot up - Google Play pegs the number of downloads at between 10 million and 50 million, and Sachdeva mentioned that there are over 8 million active users. Interestingly, when you first start the app, you're given ten Indian languages to choose from, and English is not an option. Hindi, Punjabi, Marathi - users pick the language they want to see content in, and that's where all the trending updates come from. When we signed into the app, we chose Hindi, and were taken to a trending feed showing the popular updates in Hindi. You can't change your language settings, which means that the only way you're going to see content in other languages - and many people in India are trilingual, or speak even more languages than that - is to follow someone using that language. A Hindi user could add a friend who is a Punjabi user, for example, or a Tamil user, and then see those people's posts. "That's [changing language] one of the requested features that we will be adding, initially we didn't think it would be necessary but people are asking for it so we will listen to the feedback," says Sachdeva. The reason why English isn't an option is kind of interesting though. "Initially, we had English and Indian languages, and the majority of people would pick English," he says. "But the[ir] engagement was very low. So we reached out to these users, and realised they can't really go beyond hi and hello in English. The reason they were picking English was that users at that time did not believe that there are good apps in Indian languages." Taking away the option forced people to use Indian languages, and according to Sachdeva, increased engagement. However, when we asked Sachdeva if he sees ShareChat as the "Bharat" analogue of "India's" Facebook, he disagreed - though not about the audience. "We serve first time Internet users, and people who have been on the Internet for a while, and the distribution of users mirrors Internet penetration in India, so tier-2, tier-3 are well represented," he says, adding, "but there isn't really a Western analogue to ShareChat. We're a little like Twitter in some ways, some users put up pictures of their mehendi designs as collections like it was Pinterest, so it's a lot of different things." ShareChat was designed to make it easy to share content from the platform on to WhatsApp. It was designed to work on even the poorest connections - "wherever WhatsApp works" - and initially, its users were mostly sending text updates. Post the launch of Reliance Jio a little over a year ago, the rate of growth remained the same, but the content being shared changed to include more videos and photos. According to Sachdeva, while a lot of content that starts on ShareChat finds its way to WhatsApp (if you want to talk to someone about those political memes your uncles faithfully share, ShareChat's office is in Bengaluru) the sharing that's happening within its bounds has gotten even bigger. "On WhatsApp, we had 4 billion impressions. On ShareChat we've had 10 billion," he claims. Of course, there's a bit of guesswork involved in this. ShareChat knows, obviously, how many times content has been shared from its platform to WhatsApp - "we have 200 million shares to WhatsApp every month," says Sachdeva. But then he adds: "the average time that content is shared is 20." In other words, a meme or other update from ShareChat is typically shared to a WhatsApp Group or forwarded to friends, with 20 more people seeing it. To arrive at this number, ShareChat is looking at the number of people who use the link to download the app included in the WhatsApp forward. "There are studies on how many impressions per install on average, so we can multiply that with the number of installs to see the audience." As of now, the Android app is the only way to access the social network, although the roadmap includes building a mobile website as well. "The Web product will be able to target Jio Phone as well, and it will be well optimised to work in a low-memory, low-battery situation," Sachdeva says, adding that a Mobile Web presence also allows people to try out ShareChat without having to download the app right away, lowering the barrier of entry to the platform. "Our core product will always remain the Android app, but some people prefer the mobile Web, especially when trying out before installing something." While impressions are a good metric, does the content also generate interaction? In the time we spent using the app, we didn't see too many comments. In general, people were sharing posts to WhatsApp in huge numbers (a counter is shown next to the share option) but there were relatively few comments, and most of them simply read 'hello', 'hi', 'good', and 'nice'. However, this is the first social app we've seen where we launched it and found zero contacts (it uses your phone number as ID) as users. The networks that ShareChat has tapped into don't criss-cross with the English-first set. And that affects the experience. "You haven't used it for long enough yet, in one week, it's still sending the default top stories in your trending feed, and you're not following people so you're not engaging with them," Sachdeva explains. "Once you're using the app more, you'll find content on the trending feed that's customised based on your interests, and you'll engage more with people as well." "People do engage more, but in the more niche groups, while the main trending ones are the kind that you are describing," he adds. "So when people are just trying out the app they see that, but after spending more time, the experience also evolves. We also do this thing where the creators name and photo is added to the share. So a lot of creators have become mini-celebs in their towns and cities." Sachdeva says politics is - perhaps predictably - one of the hot button engagement topics. Sure enough, you can find separate groups for the BJP and the Congress, with a wide swathe of content and comments - some of it frankly disturbing. Although Sachdeva talks of the importance of moderation, he points out that ShareChat has its ear closer to the ground than other networks, and adds that the company put up a Medium post ahead of the Gujarat elections that was very accurate because of this. Figuring out the balance is clearly a work in progress for the young company, but it follows measures such as only allowing people who authenticate their phone number with an OTP to post, and displaying this phone number to your friends on the network, so people can't post anonymously - at least not without a little hassle. This will likely have to be tuned further as the company grows, but it's a start. For any startup, the question of how it's going to make money is an important one to answer. Social networks are typically monetised with advertising, and Sachdeva also mentions looking into that, but with the audience that ShareChat's reaching, that might be a challenge. He adds that the company is also looking into micropayments as a means of generating income, but for now, the focus is on growing the user-base. ShareChat raised $4 million (roughly Rs. 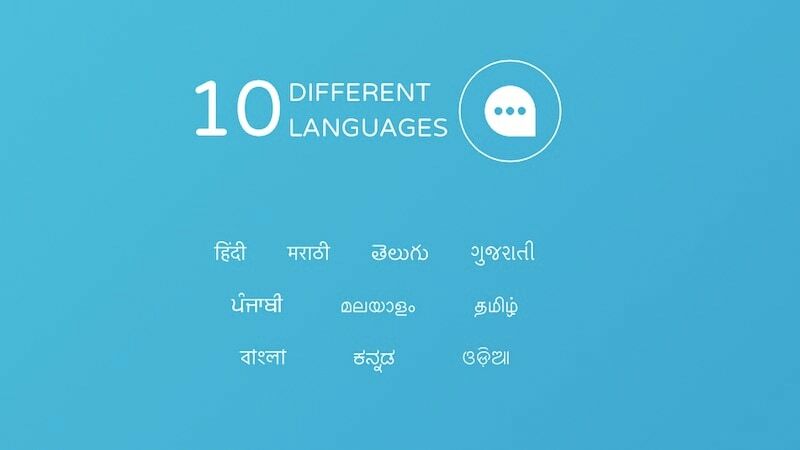 25 crore) in a Series A round led by Lightspeed Partners in 2016, and with an additional $18 million in funding announced this week, it will continue to focus on growth at a fast pace, building into more Indian languages, and adding more users within the existing languages. Sachdeva adds that the funds it has raised would go towards expanding the team, and improving the user experience. "A lot of that would go towards building our data science team, that is the key thing in the company, to further improve the content being shown," he tells us. "You have 30 languages in India that have a million speakers, so to serve them, everything boils down to a machine learning problem." To that end, ShareChat is hiring right now to build up its data science team, but that's not the only area that it needs money for. "We will also be spending a lot of that money to pay server bills, because of the rate at which we are growing, those would be the two key areas," he adds.